You can try the API explorer live by following these steps. 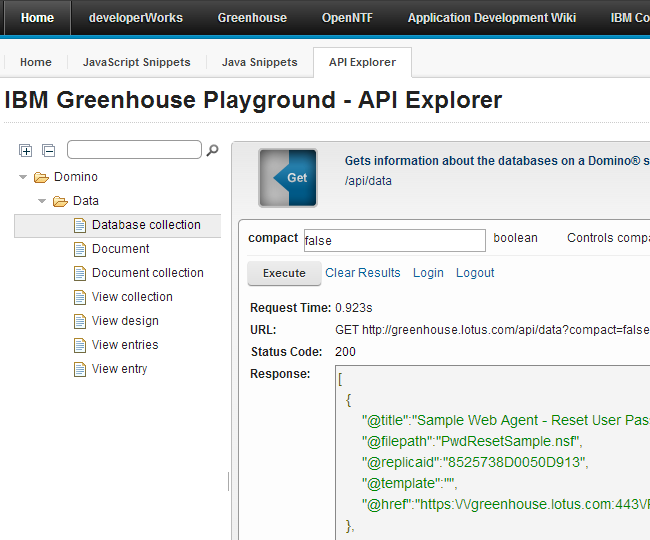 First choose “Domino on Greenhouse” as your environment in the upper right corner. Then choose a REST API in the left navigator, e.g. “Database collection”, and click on the “Get” symbol to expand the explorer. 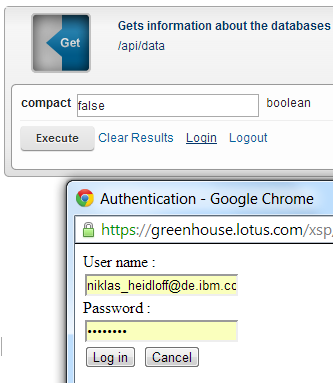 Before you can execute the call you need to log in to Greenhouse. You can also use the explorer against your own Domino servers by downloading it from OpenNTF and installing it locally.